Hello and welcome to my genealogy blog. I am pleased to be bringing you my second newsletter for this year. 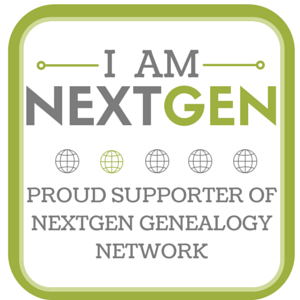 My interest in bringing genealogy news to you comes from your support and generous feedback. Thank you for reading about my experience as a genealogist. What I find equally remarkable is the quality of everyone else’s genealogy blogs. I am grateful that there is certainly no shortage of inspiration. This newsletter happens to be a bit shorter because of how busy I have been with work and other projects, including educational presentations on genealogy for local societies. I am looking forward to meeting other researchers and to bringing you a schedule of presentations for this upcoming year. Connecting with genealogists through social media has been hugely beneficial to solving challenging research cases. Great minds are able to connect and users can share useful links on genealogy, a handful of which I posted for you. Summer may be over, but fall offers plenty of chances to have fun. Nutfield Genealogy has kindly posted a calendar of genealogy events in New England, which you can view at http://nutfieldgenealogy.blogspot.com/2015/08/september-2015-genealogy-and-local.html?spref=fb. I would also recommend DearMYRTLE’s Genealogy Blog (http://blog.dearmyrtle.com) for upcoming webinars and live chats about genealogy. Do you have musical ancestors? If you are a musician, have you wondered if your creative origins extend past you or your parents? Legacy News recently published my guide, “Researching the Musician in Your Family Tree.” I mostly discuss methods and suggestions, as well as useful databases and occupational records of musicians in the 19th and 20th centuries. “Voted that his rights shall have their full proportion [part 1],” 28 Aug 2015. “Maritime History Bibliography,” 25 Aug 2015. “Glossary of Terms Found in Maritime Records,” 24 Aug 2015. I am pleased to share my first blog post for Legacy News. One of my interests is maritime history and I wrote an article to help genealogists whose ancestors worked on ships. Check out the post from Legacy News here. Legacy News of Legacy Family Tree brings genealogy news and tips to you every day.